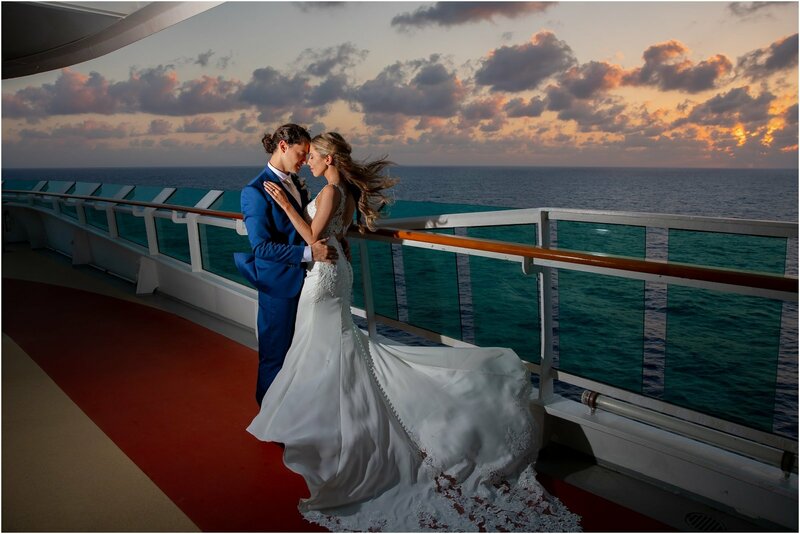 We were so blessed to be asked to capture Marie and Clayton’s Disney Dream Cruise Wedding! We met them a few short months ago at a wedding show. 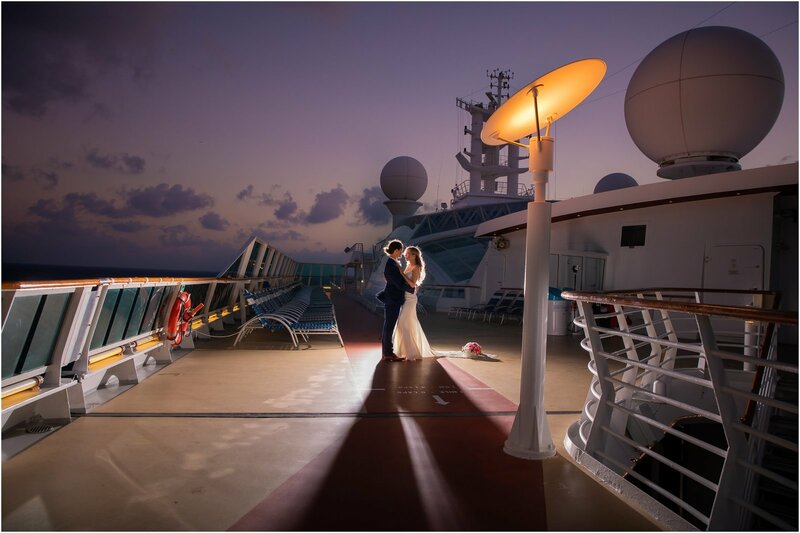 They were having trouble finding a photographer to join them on the the 3 day cruise to the Bahamas. Summer and I glanced at each other and quickly raised our hands. Please, please, please pick us!!! 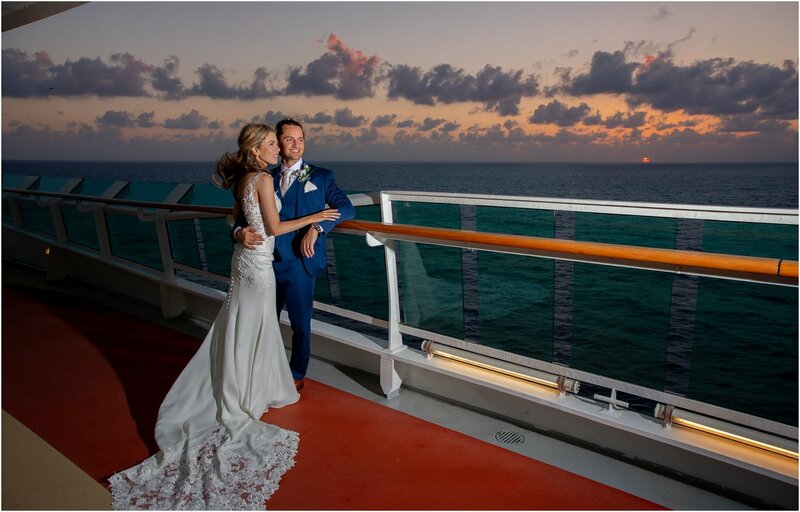 The two said “I do” in with their two adorable children and immediate family while docked at Nassau. With Atlantis in the background and the crystal clear ocean water, it could not have been more picturesque. 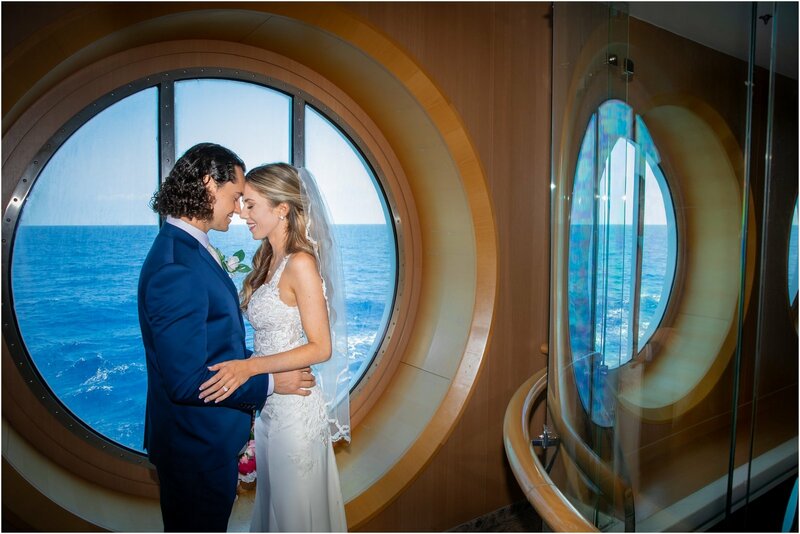 After the ceremony, this adventurous couple followed us all over the Disney Dream ship taking pictures. Between the Royal Palace, Walt Disney Theater, the Grand Atrium, then fireworks, the photo opportunities were endless. And while Marie looked like a fairytale princess in her beaded ball gown, Clayton was nothing short of princely. It truly was a magical day! 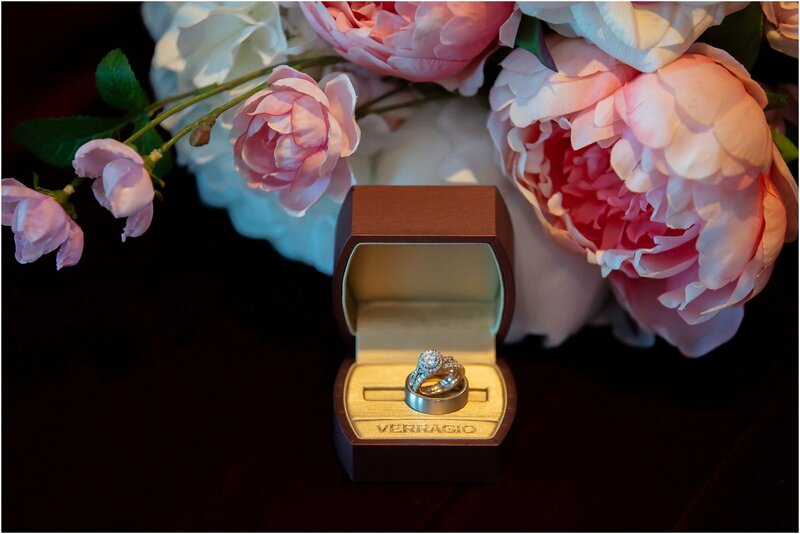 …..And they lived Happily Ever After!! !